What's making Julian and the others so tense? Is it what they're seeing on the monitors? 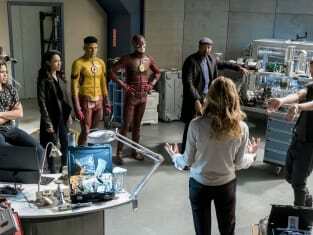 Or is it the fact that Killer Frost is casually lurking in the background? 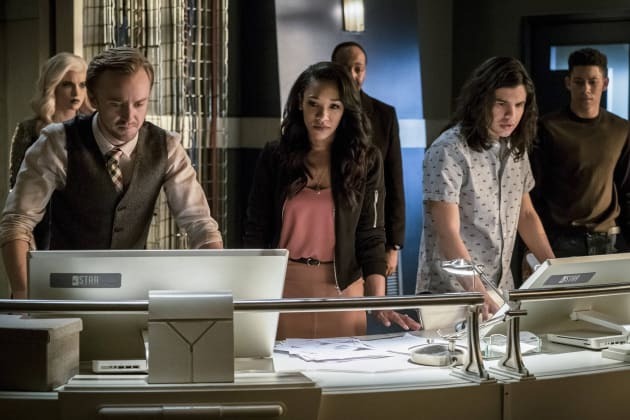 The Flash Season 3 Episode 21: "Cause and Effect"